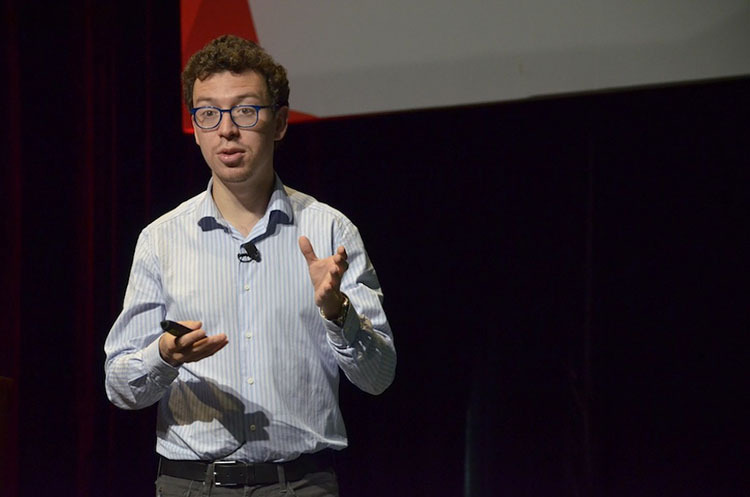 Last year, Luis von Ahn won the prestigious $500,000 Lemelson-MIT Prize, which honors outstanding mid-career inventors who are improving the world through technological invention and who demonstrate a commitment to mentorship in science, technology, engineering, and mathematics. Note that 12 years earlier, von Ahn also won a MacArthur Fellowship when he was only 28 years old! Clearly, he was a rising star from an early age. Von Ahn was born in 1978 in Guatemala City, Guatemala, where his family owned a candy factory. He credits seeing the factory machines and wondering how they worked for inspiring him to start inventing things around age 7. 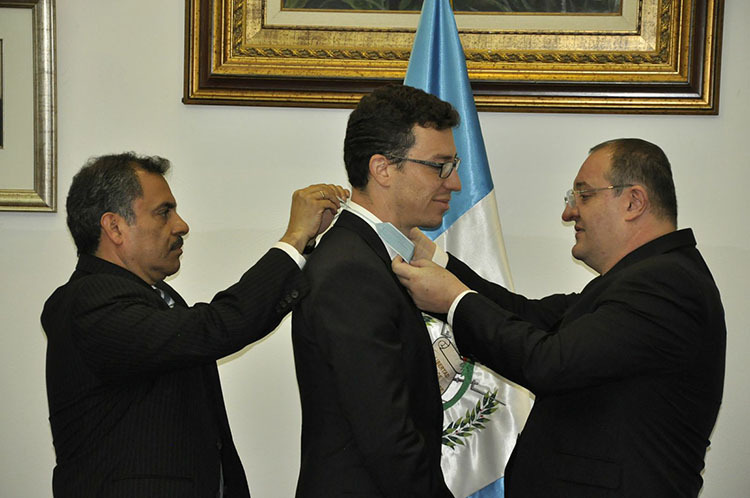 After graduating from the American School in Guatemala, he came to the United States to attend Duke University where he received a bachelor’s degree in math in 2000. Then he attended Carnegie Mellon University (CMU) and earned a PhD in computer science. Within days of accepting a teaching job at CMU in 2006, he won the MacArthur “genius” prize. In a PBS interview, von Ahn joked that when he heard the news he stopped worrying about earning tenure as a professor. I first heard about von Ahn on a National Public Radio show, the TED Radio Hour, when he was featured as part of an episode titled “Why We Collaborate.” The audio clips were so intriguing that I searched out his original, full 2011 TEDxCMU talk about “massive-scale online collaboration” where he described his work on CAPTCHA, ReCAPTCHA, and most recently Duolingo. What these projects have in common is they are based on his idea of “human computation,” better known as crowdsourcing, where the computational abilities of humans combined with computers solve problems and achieve outcomes that are difficult for computers to do alone. We take this for granted today but crowdsourcing was a pioneering concept when von Ahn started working on it in the early 2000s. As a CMU graduate student and postdoctoral fellow, von Ahn worked with fellow computer science department researchers Manuel Blum (his advisor), Nicholas Hopper, and John Langford to develop what they dubbed CAPTCHA, the acronym for Completely Automated Public Turing test to tell Computers and Humans Apart. Their idea was to deter hackers and spammers from using bots—auto-filling software programs—on websites. We’re all very familiar with CAPTCHA, even if you don’t recall the term. When you link to some websites, you’ll see a box filled with squiggly, computer-generated letters and/or numbers along with instructions to type those characters into another box for security purposes. Von Ahn realized that the time and output of this data entry process, which is done by millions of people every day, could be harnessed to help digitize old books and newspapers, leading to his ReCAPTCHA project. How does ReCAPTCHA work? Well, essentially, one of the squiggly words that a user must type into the box originally came from a scanned image of hard-to-read text in an older publication. (The pilot project was the archive of the New York Times.) Optical character recognition (OCR) software turns images of text into the form that a computer can work with, but it can miss, for example, 10-30 percent of the words of a nineteenth century text in English. To complete the text, the standard method is to ask two humans to transcribe it independently and then to compare the results. The ReCAPTCHA method cuts out the human transcribers, electronically catching “suspicious” words and turning them into CAPTCHAs—distorted versions of the words as seen in the original photographic scans. Each suspicious word is then paired with another, already-known word in the same CAPTCHA format. Both are shown to multiple Web users as the security code they need to unlock. If several people decipher the suspicious word the same way, it is deemed successfully identified for the digitized publication. If users fail to identify the word, then it is marked as indecipherable. After ReCAPTCHA was acquired by Google in 2009, von Ahn wanted to work next on something that would help provide equal access to education. With fellow CMU alum Severin Hacker, he developed Duolingo, a free, online language learning platform. While you can study multiple languages on Duolingo, their idea was based on the fact that hundreds of millions of people need to learn English to compete for jobs globally but many of them do not have the money to pay for classes or buy existing language software. Free Duolingo uses different types of lessons with a mix of speaking, listening, and translating activities, multiple choice questions, game elements, and lively graphics to encourage learners. The question on my mind now is: What will von Ahn invent next?